Il Girasole dell'Orefice price per day from € 150 Set in the Cinque Terre National Park, Il Girasole dell'Orefice is a self-catering apartment located in Monterosso al Mare, 100 metres from the beach. The 2-bedroom apartment comes with a TV, air conditioning and a patio. Il Girasole dell'Orefice is a 5-minute walk from Monterosso Train Station, while Riomaggiore is 25 km away..
Villa D'Albertis price per day from € 280 . 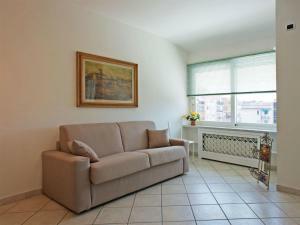 Antico Casale price per day from € 130 . 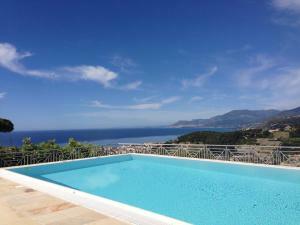 La Finestra Sul Mare price per day from € 85 Offering panoramic views of the surrounding Ligurian countryside and the sea, La Finestra Sul Mare is set on a hill 2 km from Bordighera. 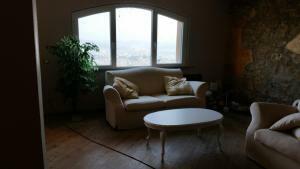 It offers a beautiful furnished garden with sea views. Guests can find a hairdryer and slippers in each private bathroom. Casa Catè Located in La Spezia in the Liguria Region, this semi-detached house is on the road leading to the Cinque Terre. The fully equipped kitchen includes a dishwasher and washing machine. 5 km away, and from there you can easily reach the beautiful Cinque Terre villages.. Camping Edy price per day from € 50 . Appartamento My Home price per day from € 75 . Belvedere holiday house Offering a sun terrace and views of the sea, Belvedere Holiday House is set in La Spezia in the Liguria Region, 46 km from Viareggio. There is also a kitchen in some of the units, fitted with an oven and refrigerator. 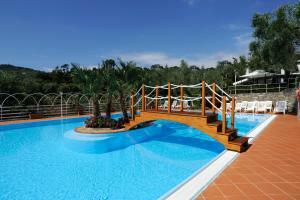 Forte dei Marmi is 35 km from Belvedere Holiday House, while Sestri Levante is 36 km from the property.. Camping Roma price per day from € 60 . Hotel Meublè Suisse price per day from € 60 . Hotel Dei Fiori price per day from € 110 . 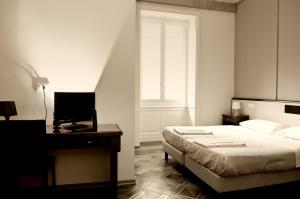 Hotel Ariston price per day from € 64 . Hotel Tigullio Et De Milan . 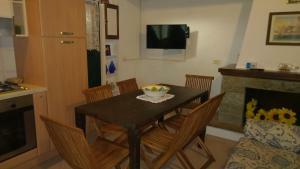 Albergo Ristorante San Matteo price per day from € 40 . 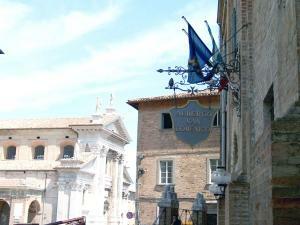 Diano Marina. 68+ apartments ! Imperia. 154+ apartments, 19+ villas ! La Spezia. 108+ apartments ! Lerici. 135+ accommodation units ! Pietra Ligure. 110+ accommodation units ! San Remo. 147+ apartments !